Situated on quiet cul-de-sac in Milagro and located within the highly desirable NWAC schools, you will not want to miss out on this magnificent open concept. This lovely abode provides a captivating welcome as you enter through the beautiful foyer showcasing romantic archways that guide you through this incredible home featuring soaring ceilings, a gas-log fireplace, and all the entertaining space you desire. The expansive kitchen is a culinary delight showcasing stone countertops, stainless steel appliances, a chef&apos;s island, breakfast bar, and ample amounts of counter space and cabinetry including a generous pantry. The formal dining room is very versatile and is currently being used as a living room/sitting area. With a quaint split bedroom floor plan, you will love the privacy of the luxurious master suite which includes tray ceilings, a walk-in closet, 5&apos; walk-in tile shower, and a dual sink vanity! Two of the bedrooms are adjoined by a Jack & Jill bathroom and the fourth bedroom is situated conveniently next to the 3rd full bath. 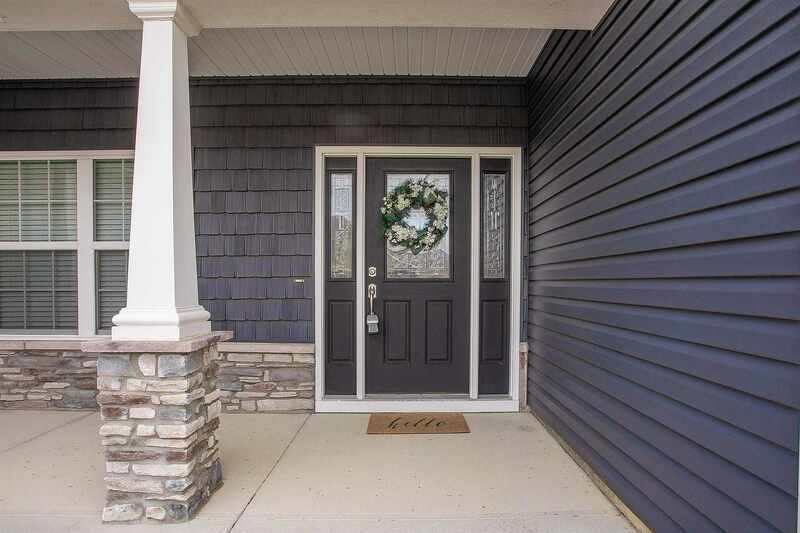 Additionally this property includes a sprinkler system for the entirety of the front lawn and is minutes from restaurants, shopping, schools, hospitals, and I-69!